This code creates instances of three basic data structures: an ordered collection (called a list in Python), a key-value mapping (called a dict or dictionary in Python), and an unordered set. Note how elements within these data structures can point to other data structures; for instance, the second element of the top list (accessible via the global variable x) points to the bottom list. 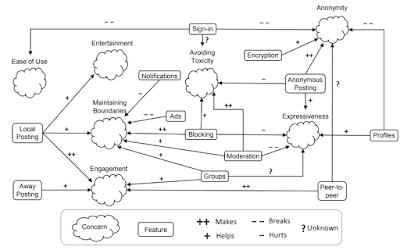 Using Python Tutor, novices can easily see pointer and aliasing relationships by following the arrows in these diagrams. Without this tool, they would need to print out serialized string values to the terminal, which obscures these critical details. How is Python Tutor implemented? By hooking into Python's built-in debugger protocol (bdb in its standard library). This tool runs the user's inputted code, single-steps through execution one line at a time, and traverses the object graph starting from globals and stack-local variables. It records a full trace of the stack and heap state at all execution steps and then sends the trace to the web frontend to render as interactive diagrams. The main limitation of this "trace-everything" approach is scalability: it's clearly not suitable for code which runs for millions of steps or creates millions of objects. But code written by instructors and students in educational settings is usually small -- running for dozens of steps and creating around a dozen data structures -- so this simple approach works well in practice. This code allocates a 6-element integer array on the stack (accessible via localArray) and a 10-element integer array allocated on the heap via malloc (accessible via b). It then populates the elements of both arrays at indices 1, 3, and 5. The resulting visualization shows those initialized values and ? symbols next to the remaining uninitialized values. In addition, it knows that the heap array has exactly 10 elements and does not try to read unallocated elements beyond that bound, which risks crashing the program. Readers familiar with C and C++ will recognize that such memory allocation and initialization data is not available to debuggers such as gdb. Python Tutor hooks into Valgrind Memcheck to get this vital data. Without something like Memcheck, it would be impossible to build a safe and accurate visualizer for C and C++. 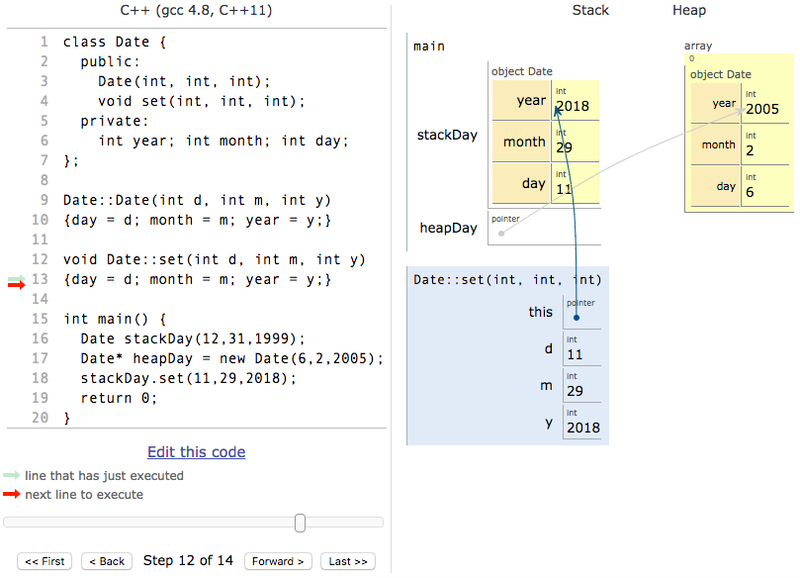 This visualization shows object-oriented programming concepts such as calling an instance method Date::set(), its this pointer referring to a Date object on the stack (accessible via stackDay), and another Date object on the heap (allocated with the new keyword and accessible via heapDay). Just like it does for C programs, Valgrind Memcheck ensures that Python Tutor reads only memory that has been both allocated (here recognizing that there is only one Date object on the heap) and initialized (so that it doesn't show stale junk values). That was my quick tour of how Python Tutor works for a variety of languages that are frequently used to teach programming. The underlying principle that drives my implementation decisions is that authenticity is key: experts can work around bugs or other quirks in debugging tools, but novices will get confused and demoralized if a tool renders inaccurate diagrams. Thus, this tool needs to be able to take whatever code that users put into it and do something reasonable, or at least fail in a transparent way (e.g., stopping after 1,000 execution steps and suggesting for the user to shorten their code). I've tried out alternative language interpreters and experimental runtimes to get more detailed tracing (e.g., finer-grained stepping into subexpressions rather than line-level stepping), but time and time again I've gone back to built-in debugger hooks and widely-deployed tools such as Valgrind since they are far more robust than experimental alternatives. Try it out today at http://pythontutor.com/ and let me know what you think! In previous blogs [1, 2] we summarised genetic improvement  and described the result of applying it to BarraCUDA . Rather than giving a comprehensive update (see ) I describe a new twist: evolving software via constants buried within it to give better results. The next section describes updating 50000 free energy parameters used by dynamic programming to find the lowest energy state of RNA molecules and hence predict their secondary structure (i.e. how they fold) by fitting data in silico to known true structures. The last section describes converting a GNU C library square root function into a cube root function by data changes. RNAfold is approximately 7 000 lines of code within the open source Vienna- RNA package. 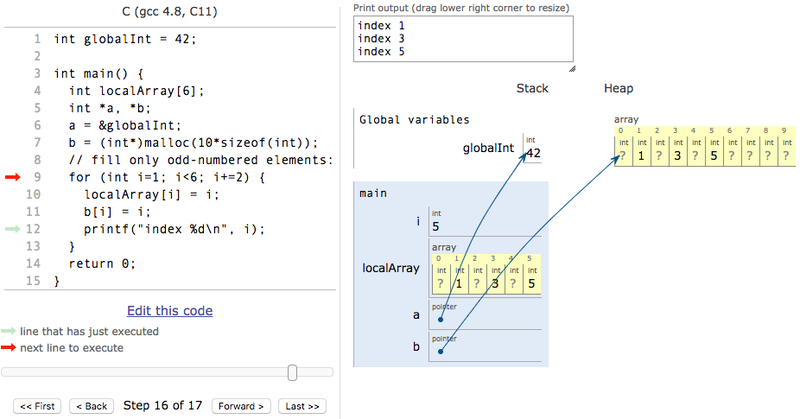 Almost all the constants within the C source code are pro- vided via 21 multi (1–6) dimensional int arrays [6, Tab. 2]. We used a population of 2000 variable length lists of operators to mutate these inte- gers. The problem dependent operators can invert values, replace them or update them with near by values. They can be applied to individuals values or using wild cards (*) sub-slices or even the whole of arrays. From these a population of mutated RNAfold is created. Each member of the popula- tion is tested on a 681 small RNA molecules and the mutants prediction is compared with their known structure [6, Tab. 1]. At the end of each gen- eration the members of the population are sorted by their average fitness on the 681 training examples and the top 1000 are selected to be parents of the next generation. Half the children are created by mutating one parent and the other 1000 by randomly combining two parents. After one hundred generations, the best mutant in the last generation is tidied (i.e. ineffective bloated parts of it are discarded) and used to give a new set of 50 000 integer parameters (29% of them are changed). Figure 1 shows RNAfold’s original prediction of the secondary structure of an example RNA molecule and then the new prediction using the updated free energy parameters. is written in C and essentially uses three iterations of Newton-Raphson’s method. To guarantee to converge on the correct square(x) to double precision accuracy, Newton-Raphson is given a very good start point for both the target value x^(1/2) and the derivative 0.5x^(−1/2) and these are held as pairs in the table. Unlike the much larger RNAfold (previous section), with cbrt(x) some code changes were made by hand. These were to deal with: x being negative, normalising x to lie in the range 1.0 to 2, reversing the normalisation so that the answer has the right exponent and replacing the Newton-Raphson constant 1/2 by 1/3 [8, Sec. 2.1]. Given a suitable objective function (how close 23 is cbrt(x)×cbrt(x)×cbrt(x) to x), starting with each of the pairs of real numbers for sqrt(x), in less than five minutes CMA-ES  could evolve all 512 pairs of values for the cube root function. The GNU C library contains many math functions which follow similar implementations. For fun, we used the same template to generate the log2(x) function . 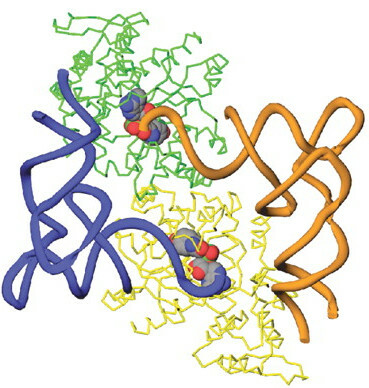 Figure 2: Three dimensional structure of two PDB 01001 RNA molecules (blue, orange) in a Yeast protein complex (green, yellow) [7, Fig 2. A]. W. B. Langdon and Justyna Petke. Genetic improvement. 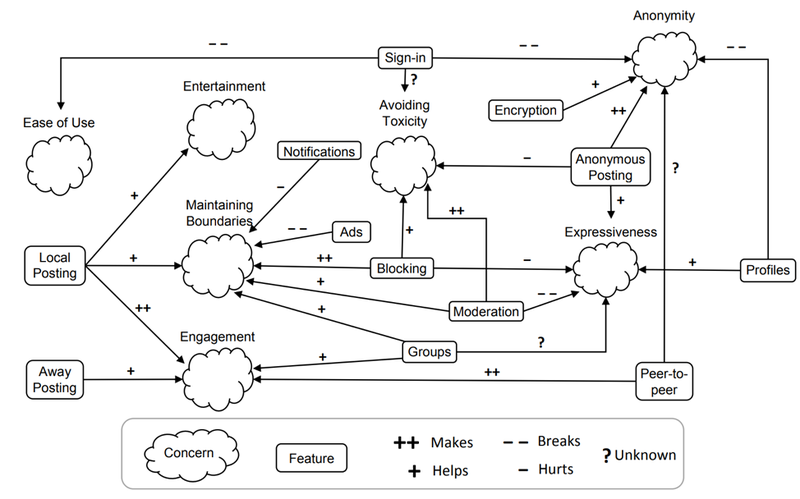 IEEE Soft- ware Blog, February 3 2016. W. B. Langdon and Bob Davidson. BarraCUDA in the cloud. IEEE Software Blog, 8 January 2017. W. B. Langdon and Mark Harman. Optimising existing software with genetic programming. IEEE Transactions on Evolutionary Computa- tion, 19(1):118–135, 2015. W. B. Langdon and Brian Yee Hong Lam. Genetically improved Barra- CUDA. BioData Mining, 20(28), 2 August 2017. Justyna Petke et al. Genetic improvement of software: a comprehensive survey. IEEE Transactions on Evolutionary Computation, 22(3):415– 432, 2018. W. B. Langdon, Justyna Petke, and Ronny Lorenz. Evolving better RNAfold structure prediction. In Mauro Castelli et al., editors, EuroGP 2018, pages 220–236, Parma, Italy, 2018. Springer Verlag. Masaru Tsunoda et al. Structural basis for recognition of cognate tRNA by tyrosyl-tRNA synthetase from three kingdoms. Nucleic Acids Re- search, 35(13):4289–4300, 2007. W. B. Langdon and Justyna Petke. Evolving better software parame- ters. In Thelma Elita Colanzi and Phil McMinn, editors, SSBSE 2018, pages 363–369, Montpellier, France, 2018. Springer. Nikolaus Hansen and Andreas Ostermeier. Completely derandom- ized self-adaptation in evolution strategies. Evolutionary Computation, 9(2):159–195, 2001. W. B. Langdon. Evolving square root into binary logarithm. Technical Report RN/18/05, University College, London, UK, 2018. James Temperton. Code ’transplant’ could revolutionise program- ming. Wired.co.uk, 30 July 2015. Online. John R. Woodward, Justyna Petke, and William Langdon. How com- puters are learning to make human software work more efficiently. The Conversation, page 10.08am BST, June 25 2015. Justyna Petke. Revolutionising the process of software development. DAASE project blog, August 7 2015.